THE High Court has granted a $300 bail pending trial to one of the police officers allegedly linked to the $1 million gold theft in Plumtree. 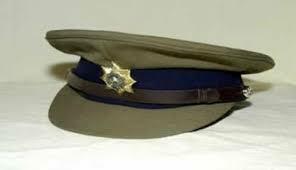 Sergeant Ladislous Tambooneyi, who is attached to the ZRP Minerals and Border Control Unit in Plumtree, is facing charges of defeating or obstructing the course of justice. He is being accused of allegedly misleading the court sitting against one Jefat Chaganda by acceding to the averment that Bulawayo businessman Lovemore Sibanda was the owner of the recovered 14 kilogrammes of gold resulting in it being released from police custody through a court order. Sibanda fraudulently tendered his registered mining company documents to facilitate the release of the gold kept at Plumtree Police Station as an exhibit. The gold, which is part of the 28kg worth about $1 million intercepted from a suspect who was trying to smuggle it into Botswana through the Plumtree Border Post, allegedly belongs to Chaganda. Sibanda agreed to use his Qalo Syndicate Mine documents purporting to be the owner of the gold before securing a court order facilitating the release of 14kg of the gold worth $358 000. Tambooneyi is also being accused of having deliberately reneged on pursuing investigations into the matter. In granting Tambooneyi bail, Bulawayo High Court judge Justice Nokuthula Moyo ordered him to report once a week at Plumtree Police Station and not interfere with State witnesses as part of bail conditions. He was also ordered to reside at his given address until the matter is finalised. The ruling by Justice Moyo follows an application for bail pending trial by Tambooneyi, through his lawyer, Mr Nqobani Sithole of Ncube Attorneys. Tambooneyi argued that he was a good candidate for bail. “Applicant is a good candidate for bail and the State’s fears can be assuaged by his release on bail with appropriate conditions,” said Mr Sithole. The State through Ms Nonhlanhla Ndlovu opposed bail, arguing that there was no guarantee that if granted bail Tambooneyi would not abscond due to the gravity of the alleged offence. “The applicant (Tambooneyi) is a dishonest person who cannot be trusted with his own liberty if granted bail. There is a likelihood that if granted bail, he will either abscond or interfere with investigations,” she argued. According to court papers, on July 7 this year at Plumtree Police Station, gold weighing 28kg and worth $970 000 was stolen from the armoury through an act of unlawful entry. The gold was later intercepted by police at One-Stop Shop leading to the arrest of Chaganda. He was found in unlawful possession of part of the stolen gold weighing 14 kg and Tambooneyi was the investigating officer in the matter. Chaganda was taken to court and during his trial, representations were made to the court that through Qalo Syndicate, he was the purported owner of the gold, which was the subject of the matter. During the course of investigations, Tambooneyi and his co-accused were told by Chaganda that he was in the company of a police officer identified as Sidingumuzi Ncube. Despite the information, Tambooneyi deliberately reneged on pursuing investigations against Ncube. He allegedly prepared a docket that concealed the identity of Ncube. He allegedly further misled the court by alleging that Sibanda was the owner of the recovered gold resulting in Chaganda being discharged at the close of the State case. The magistrate subsequently ordered the release of the gold. Soon after the gold was released through a court order, Chaganda took the mineral to Fidelity Printers and Refiners where it was bought for $358 000.